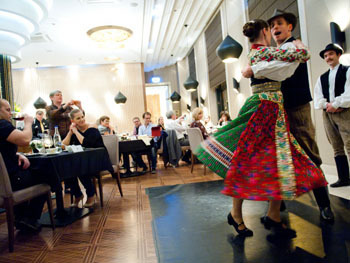 Have a wonderful evening enjoying authentic Hungarian folklore show and delicious four-course dinner. 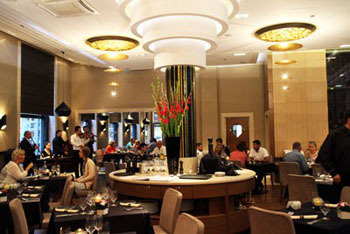 The meal is served buffet style in a superb restaurant located in one of the top 4-star hotels of Budapest. every Friday, starting at 19.00. Please arrvie by 18.50. The program ends at 22.00. Please Reserve the Program here!. you get to taste the fabulous local cuisine and wines. The award-winner Hungarian Folk Embassy’s performance ensures a memorable cultural entertainment. The show perfectly complements the fine meals – prepared by the talented gourmet chef Áron Barka especially for the occasion – and wines. and 3 glasses of fine local wines that match the meals. These Friday-evening programs are a wonderful treat even for Hungarians. At least, that’s what my husband told me after attending the program. He’s not really keen on listening to folk music for extended time but even he was charmed by the talent of the music band especially the dulcimer player. Not to mention the spectacular dance performance including the authentic bottle dance. 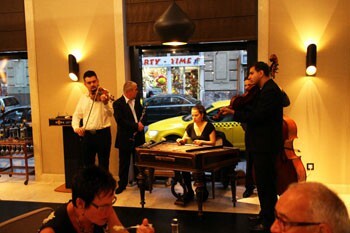 The dinner starts at 19.00 with live folk music playing in the background. a glass of Hungarian sparkling wine. 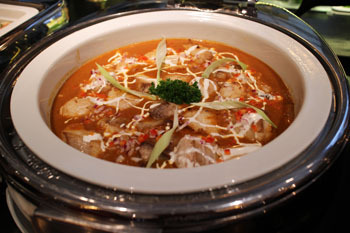 You can pick as many dishes and have as many servings as you like. 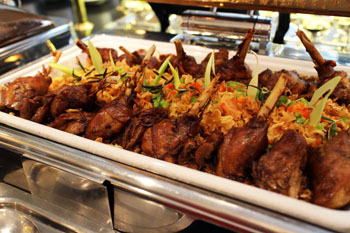 Have your fill of delectable local food! The folk music and dance program begins at 20.00. 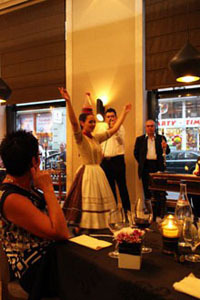 A diverse program giving you a taste of Hungary’s colourful culture. You’ll be soon enchanted by the music of the string orchestra and the incredible performance of the dulcimer player (cimbalom). Not to mention the prowess of the dancers. Reservation is required due to the popularity of the program and limited places. After reservation you’ll receive a confirmation in e-mail from the restaurant within 2 days. 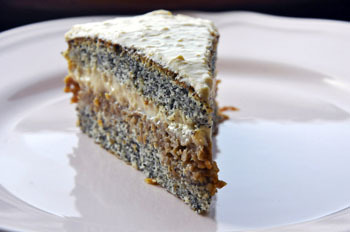 Somló-style sponge cake: sponge cake layered with rum raisins, ground walnut, vanilla sauce, chocolate sauce, and whipped cream on top. a white Badacsonyi Kéknyelű: a traditional Hungarian variety grown at the Badacsony Hill, north of Lake Balaton. The Kéknyelű has light straw colour, fruity taste, with dry, crisp acidity and spicy aroma. a red Kadarka from the Szekszárd region: It’s a full-bodied red wine with elegant acids and unique bouquet and flavour, with hints of vanilla spiciness. 1. If you wish to see more Hungarian folk dance and learn about local culture, music and folk costumes attend a 1.5-hour Folk Performance in Duna Palota. 2. 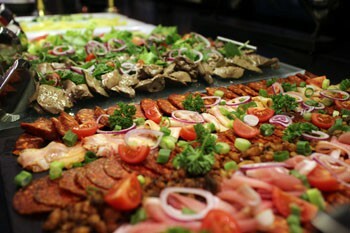 Take a look at also our package program offered at discount price (10 % off): Hungarian Folk Show + Night Cruise & Dinner. You’ll enjoy two great programs for less.